Experience the Central Section of the Great Barrier Reef for yourself on board our 14-metre custom built vessel, MV Adrenalin, with fully shaded areas, sun deck, stabilisers, toilet, shower, along with easy access in & out of the water. The Central Section of the Great Barrier Reef is a little further off the Queensland Coast than other sections and as a result has some of the best sites of the whole Great Barrier Reef. Our preferred reef for day trips is Lodestone Reef, chosen for its diversity of sites, great coral cover, fish life and reasonable protection. 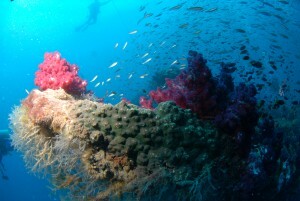 We have a number of sites around this reef and will choose the best site on the day. You could visit Lodestone Reef dozens of times and be surprised every time. 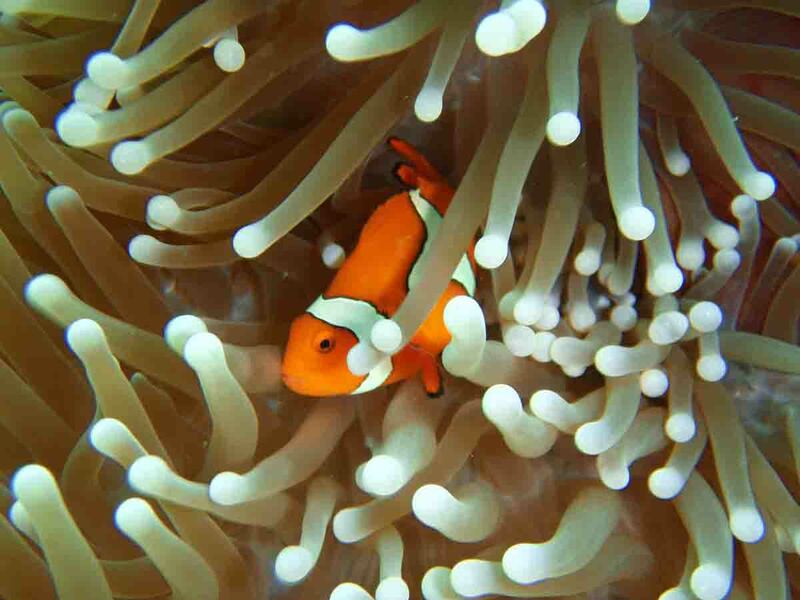 Some sites feature large coral bommies with white coral sand sea floors, others have large gutters running through the coral occupied by hundreds of reef fish, and colorful coral walls occupied by innumerable marine animals in crystal clear water. Depths at Lodestone range from 1 metre to 20 metres making it ideal for snorkellers, beginner and experienced divers. Big schools of trevally and bait fish are common as well as a myriad of colourful reef fish including Parrot fish, Maori wrasse, Clown fish, Angel fish, Turtles, Stingrays, White tip and Black tip reef sharks often sighted. A visit to Lodestone Reef with Adrenalin Snorkel & Dive is a perfect way to enjoy snorkeling, introductory scuba dives or certified dives. 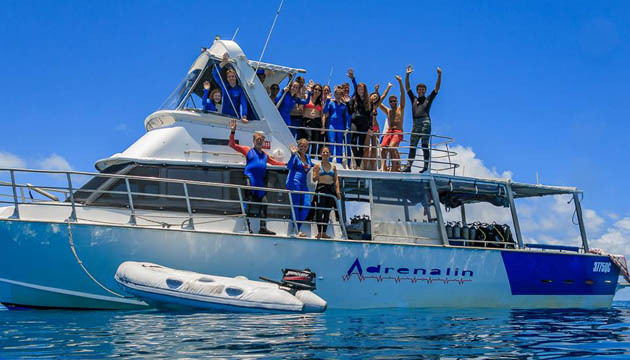 Both snorkelers and divers will be exhilarated witnessing the spectacular marine life that Lodestone has to offer whilst being immersed in tropical crystal clear water. You can board the vessel from either Townsville or Magnetic Island, it’s your choice! Certified divers can enjoy 2 dives on all of our day trips to the reef. 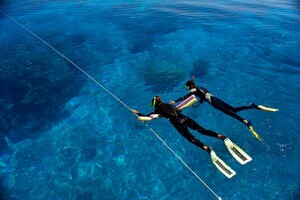 You can dive with one of our experienced dive guides or explore the reef with just yourself and your buddy. Discover Scuba Diving with one of our experienced PADI Diving Instructors. 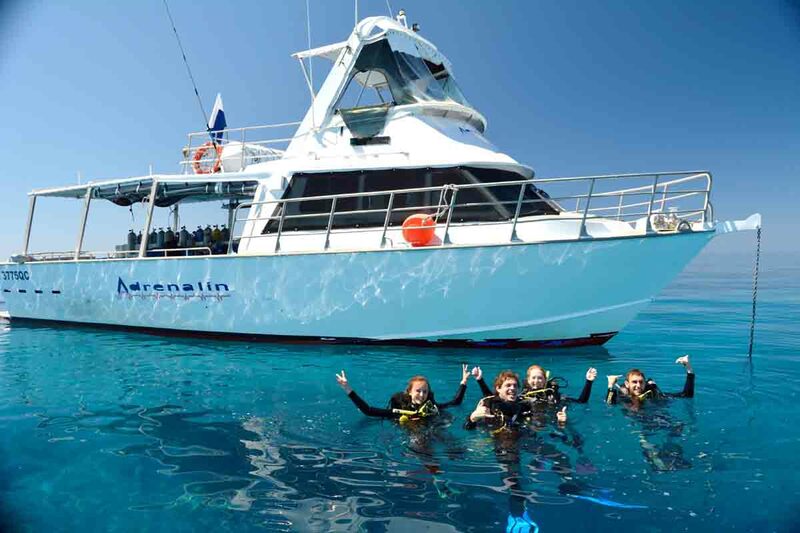 You will be given a thorough safety briefing, complete a quick quiz, practice a few basic skills in shallow water, then it’s off to explore the wonders of Great Barrier Reef under the close supervision of your instructor. 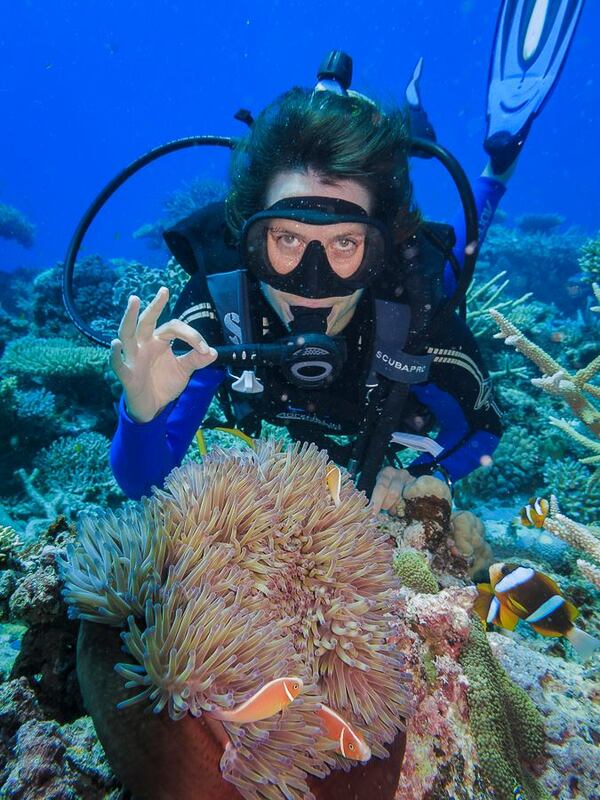 You can say “I dived the Great Barrier Reef!” and tick it off your bucket list! Basic medical questionnaire – Are you fit to do an Introductory SCUBA dive? Click here to view PADI’s Medical Questionnaire. 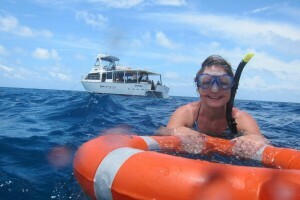 Day Trips to the Great Barrier Reef depart on Tuesday, Thursday, Friday and Sunday. During high season, we also operate on Mondays! You can board from Townsville at the Breakwater Marina or from Magnetic Island at the Nelly Bay Ferry Terminal. Due to our small numbers of passengers it is advised to book early. (Please note that all our trips are subject to passenger numbers and weather conditions. Confirmation is made the afternoon prior to departure). Please note that the above schedule is as a guide only, actual times on the day may vary. $289.00 Certified Diver with Tanks and Weights only. $329.00 Certified Diver with Full equipment hire. 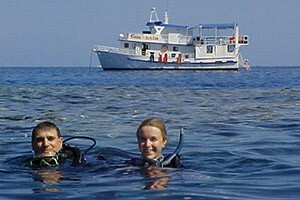 $334.00 1 x Introductory Dive and Snorkelling. $384.00 2 x Introductory Dives. © 2016 Adrenalin Snorkel & Dive! All Rights Reserved.